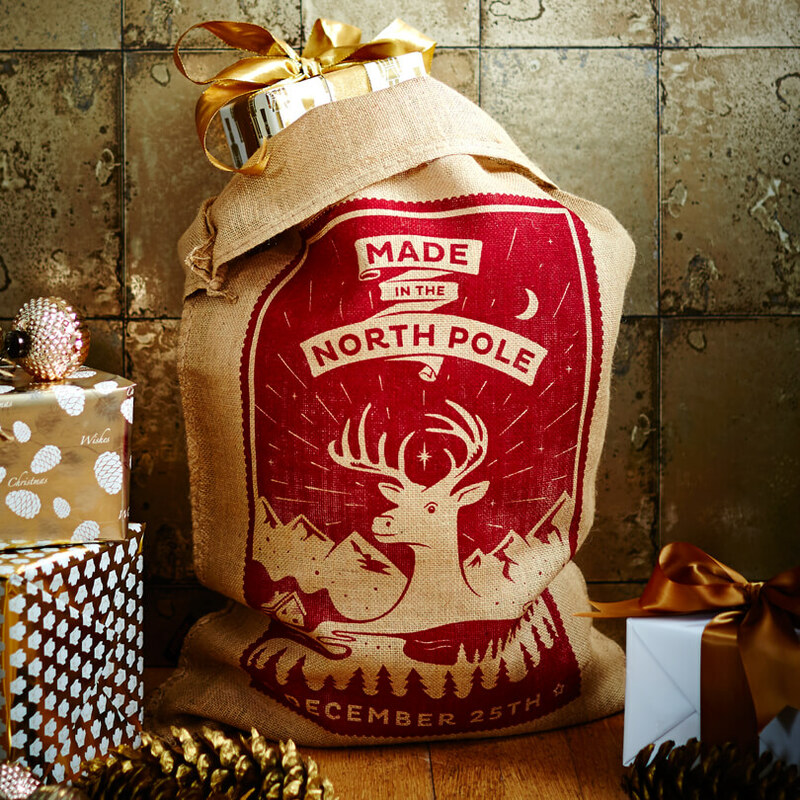 Taking influence from a vintage style Christmas stamp, this non personalised Christmas sack design features the reindeer ahead of its worldwide adventure. Measuring 80 x 53cm and complimented with one metre of branded crimson satin ribbon to tie round the top of the sack. A modern take on a traditional Christmas stocking. Stunning reindeer motif. I give you 4 stars because delivery took longer than expected Thank you.